Prime Minister Teresa May has signed the letter of notification to the President of the European Council, which triggered the much-discussed Article 50 and outlines the UK’s intention to withdraw from the European Union. 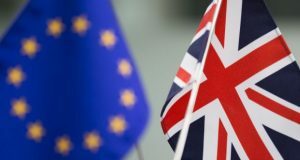 This historic event is a real landmark, but despite the medium-term uncertainty that Brexit brings to the UK economy, as the exact terms of leaving the EU are negotiated, the FTSE 100, which has surged to record highs since last June’s Referendum, shrugged off early falls to end the day up 0.41% at 7373.72. Following an early dip, London markets were in positive territory by mid-afternoon, with the Pound rising by 0.21% against the Euro, but down 0.37% against the US Dollar. Britain now has two years to find an acceptable settlement, and unravel the nation from the economic and social commitments it has with Brussels, which will not be a straightforward process. Here at The Financial planning Group we manage our clients’ assets to an investment strategy that is designed to achieve their financial goals, and to change the fundamental relationship people have with their money, and to give them confidence and clarity in their own future.